Sawtooth hanger makes decorating quick and easy. Use to hang picture frames with sawtooth, D-ring and keyhole designs. Put up and take down pictures as often as you want. Hanger is easy to apply and easy to remove and leaves no nail holes. Sticky Nail Sawtooth Hanger holds up to 5 lb. Pack includes two large strips and two sets of Stay Straight strips. 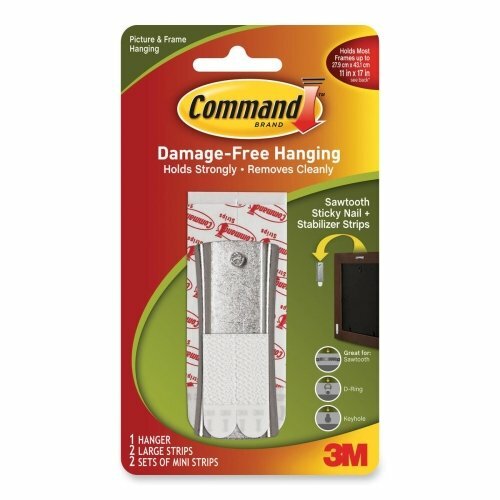 Includes 2 Command Stay Straight Strips and metal sticky nail hanger; holds up to 6 lb.